Blunt chainsaws can make you waste a lot of time and energy. In addition, you expose yourself to safety risks when using such products. A good way to solve this problem is by using an electric chainsaw sharpener. These tools are inexpensive and will get you through your problem in a short period. 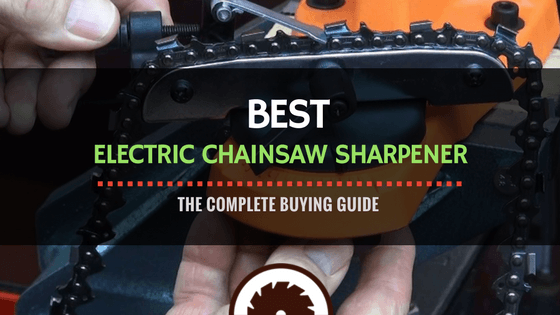 Today I've written up four electric chainsaw sharpener reviews to help you decide on the best one for your needs, and provide you with some important recommendations before making your final decision. Electric chainsaw sharpeners are highly advantageous compared to the manual ones. They are a lot easier to use and will sharpen your chains in a very short time. People who use their chainsaw sharpeners away from electrical outlets often go for manual devices; however, the market now has electric sharpeners that are powered by batteries. That means you can use them in the woods or when traveling. Also, there are lots of portable electric chain sharpeners. These are not necessarily better than the heavier sharpeners, but they can comfortably replace manual files. As you probably know already, electric chainsaw sharpeners are more expensive than manual devices. 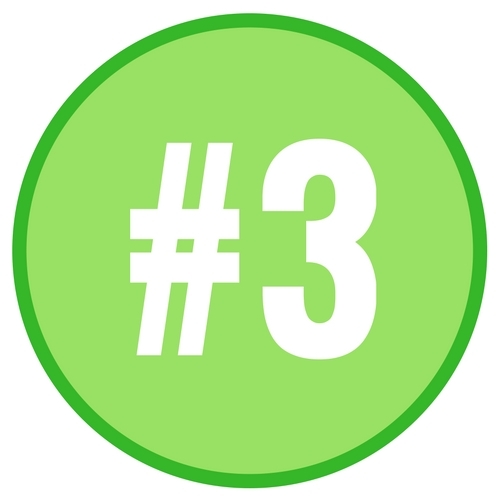 The higher price is justified by the increased efficiency, speed, and accuracy. Good electric sharpeners are even designed to help you find a better angle for sharpening the chains. But what exactly do you need to consider when shopping for electric chainsaw sharpeners? Chainsaw sharpeners can be designed for domestic or professional use. Those meant for domestic use are likely to get damaged if used a couple of times in a single day. If you frequently need to sharpen your chainsaws, you should opt for a professional electric sharpener. Most people don’t need to carry their sharpeners around. If you fall into that category, you can simply go for the heavier sharpeners that have to be plugged into an outlet when in use. However, if you need to move around with your electric sharpener, you can choose one that runs on batteries. Typically, these are lighter and smaller in size. They also don’t need to be mounted permanently in a single position. Also, you need to consider the warranty agreement before making a purchase. 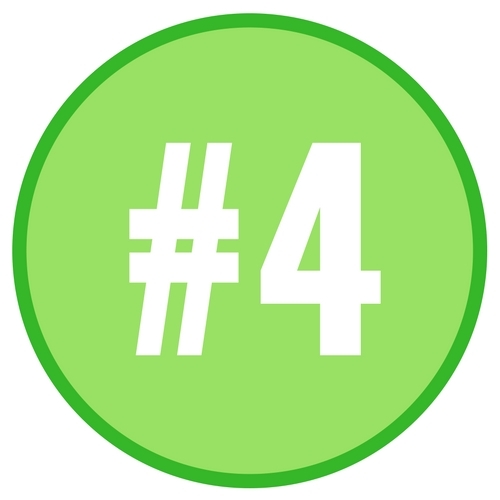 Poor warranties usually point to a low-quality product and should be avoided. Chainsaw sharpeners are designed to work for specific sizes of chains. Most manufacturers design different sharpeners for the various sizes of chains available. If you have multiple chainsaws, you should opt for adjustable sharpeners. These are made to sharpen all sizes of chainsaws. In fact, some adjust automatically to the gauge and pitch of the chain being sharpened. Another alternative would be to go for a product that works with the different chain sizes you have. Manual chainsaw sharpeners are known for being slow. You have to spend a lot of time sharpening the chains before you can get back to using your saw. With electric chain sharpeners, you only need to spend a few minutes sharpening your chains. Still, there are some electric sharpeners that work faster than others. The speed of these devices is determined by the maximum revolutions per minute of the device. The best electric sharpeners have a maximum RPM of 4200. Chainsaw sharpeners are designed similarly. If you have already used one of these tools, you will intuitively know how to operate another sharpener. Some electric sharpeners are harder to assemble and use, and this means they are not suitable for novices. Ideally, you should buy an electric chain sharpener that has step-by-step instructions on how to assemble and use it. If the user manual is not well-written, you will end up frustrated with your purchase. Alternatively, you can search for step-by-step tutorials or videos that clearly show how the sharpener is used. The internet is awash with these instructional videos. If you have trouble using electric chain sharpeners, this video should help you out. It shows you how to properly use a Harbor Freight Sharpener. The instructor also describes the parts of the sharpener. Even as a novice, you will be ready to use electric chain sharpeners after watching this video. This chainsaw sharpener offers great value for money. It is actually one of the most inexpensive product on the market. Although it works perfectly, it is not meant to be used as a professional chainsaw ​sharpener. ​If you need to sharpen your chainsaw several times in a day, then you might have to look for a different product. This sharpener should be mounted permanently on a wall or bench, and this makes it more stable. The tool is not designed with a chainsaw sharpener file. Instead, the manufacturer used a grinding wheel that spins at 4200 RPM. Because of this, you will be able to sharpen your chainsaw faster. You can expect to sharpen a 20-inch chain in less than five minutes. The product is mainly designed for novices. It is quite easy to set up and operate, even without the user manual. This is a highly-functional product, and that is why it comes at a very high price. The tool is sturdy and is built to last. Some buyers have used it for years without experiencing any decline in performance. It works perfectly for occasional users. Like the renowned Stihl electric chainsaw sharpener, this one is quite easy to use. Unfortunately, assembling the device is complicated. The user manual lacks clear instructions and will probably not help you at all. The sharpener spins at a speed of 3400 RPM. It can comfortably sharpen chains of various sizes in a very short period of time. Although it is easy to operate, novices might have a hard time figuring out how it works. You can watch an electric chainsaw sharpener video to shorten your learning curve. That said, many users appreciate the high performance of the device. It is made with a powerful motor and still operates silently. This product is constructed using a high-speed motor which does not load or slow down like many other electric sharpeners. Its cover is made of special material that prevents it from overheating when the motor is running. With the high running speed, you will be able to sharpen your chainsaw in just a few minutes. At 2.2 pounds, this sharpener is easy to carry around and will suit people who like to move around with their chainsaws. It is powered by a 12-volt battery which can be carried to the field. This further makes the product ideal for mobile users. This chainsaw sharpener is adjustable and will sharpen almost all types of chainsaws. With this tool, you can set your own angles and sharpen the chains better. It can sharpen chains in minutes, and this makes it a must-have tool for serious users of chainsaws. This product is fairly priced, especially considering its performance. Unfortunately, using the sharpener is complicated. The instruction manual is also poorly written. Again, you can learn how to use it through instructional videos. The product is designed with a dual handle that helps to improve your control when sharpening chains. Its trigger switch has a safety button that is intended to reduce the risk of injury. The best of these four products is the Oregon electric sharpener. It combines high power, superior quality, and great versatility. This sharpener will best suit people who need to use their sharpeners multiple times in a single day. Being a high-quality device, it will not get damaged with excessive use. As noted in the buyer’s guide section of this review, you should use a product that matches your level of experience. The Oregon electric sharpener is meant for people who have used such tools for a long time. Also, people on tight budgets may not be able to afford this product. Be sure to get a device that matches the pitch and gauge of your chainsaw.